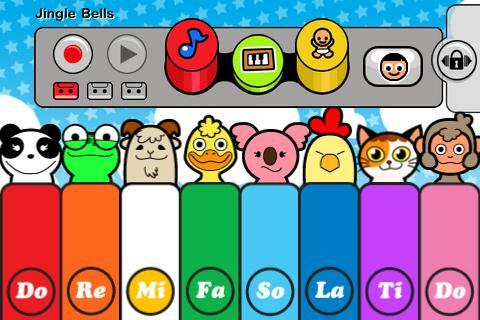 - Colorful 8-key piano with cute and animated animal characters. - Switch to animal sound mode and to mimic the animal sounds! 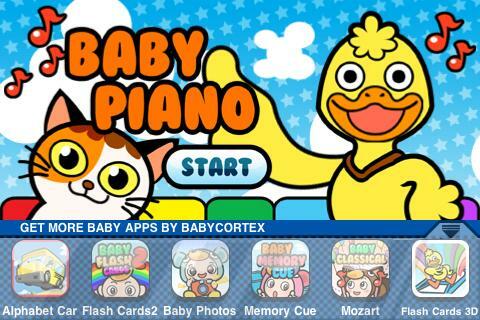 - 3 modes of music playing: Freesplay; play along with a nursery rhyme by touching on the highlighted notes OR; touch on any notes and still make a song! - 10 children songs to learn and play with. - Record & playback function: Storing permanently up to 3 songs on your device. - A lock slide to cover the function buttons in case you want your kid just to play a song but not to mess around with the buttons.